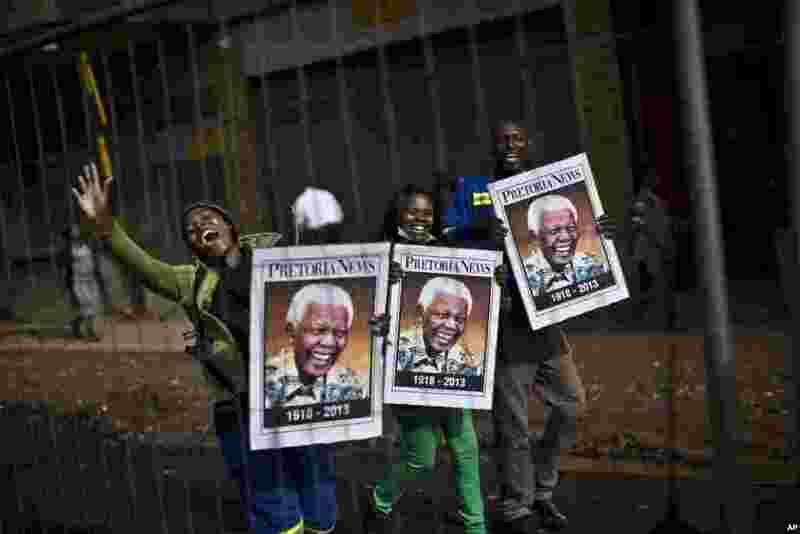 1 South African mourners hold posters of former president Nelson Mandela, while chanting slogans as the convoy transporting his remains passes by in Pretoria, Dec. 11, 2013. 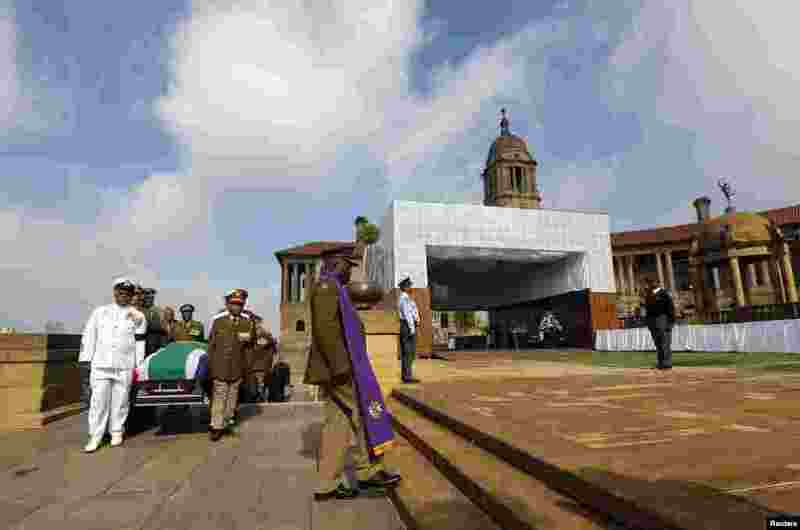 2 Military personnel carry the remains of the late Nelson Mandela upon arrival at the Union Buildings in Pretoria, Dec. 11, 2013. 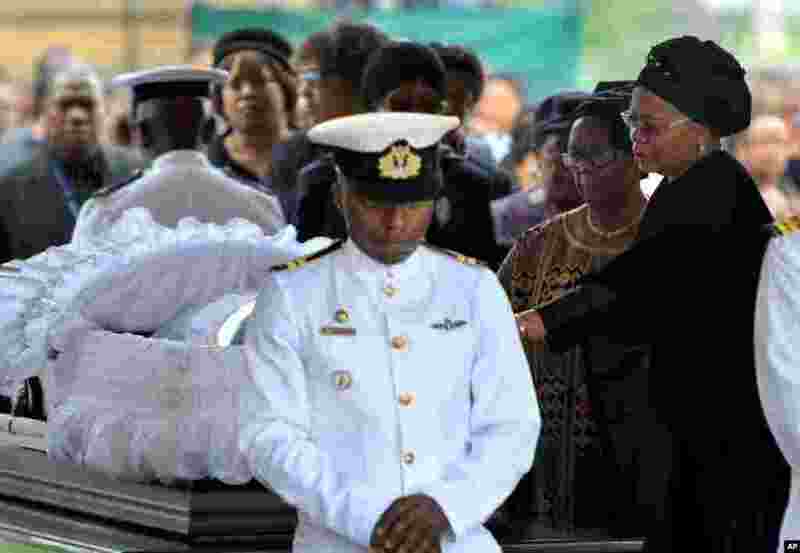 3 Nelson Mandela's widow Graca Machel, right, pays her respects to the former South African president at the Union Buildings in Pretoria, Dec. 11, 2013. 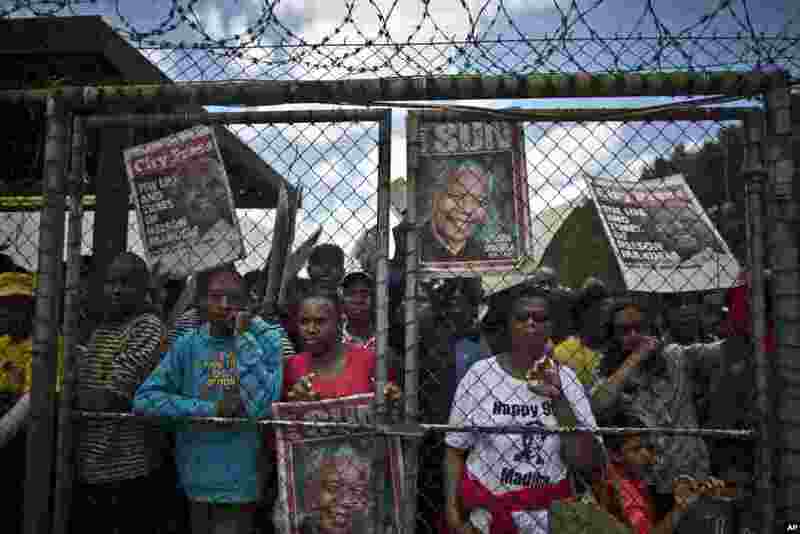 4 Mourners line up after waiting for hours to get into a bus to go to the Union Buildings where the casket of Nelson Mandela lies in state for three days in Pretoria, Dec. 11, 2013. 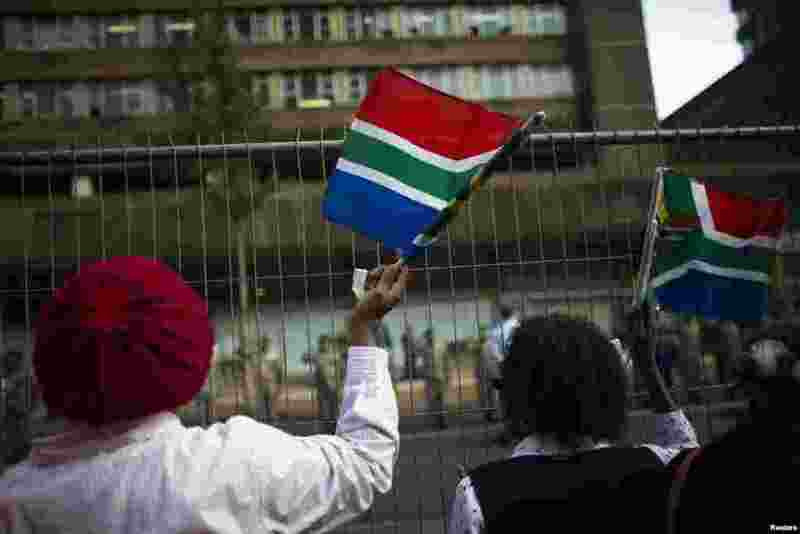 5 People react as the procession for former South African president Nelson Mandela leaves the military hospital in Pretoria, Dec. 11, 2013. 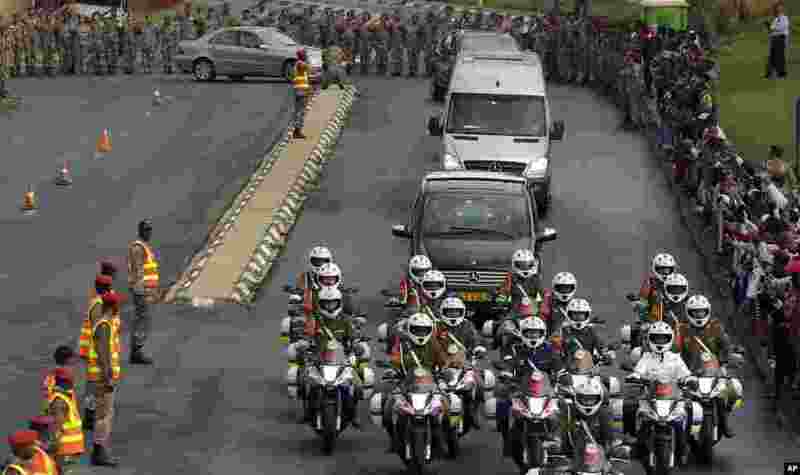 6 Defense force personnel and hospital staff salute a procession for former South African president Nelson Mandela as it leaves the military hospital in Pretoria, Dec. 11, 2013. 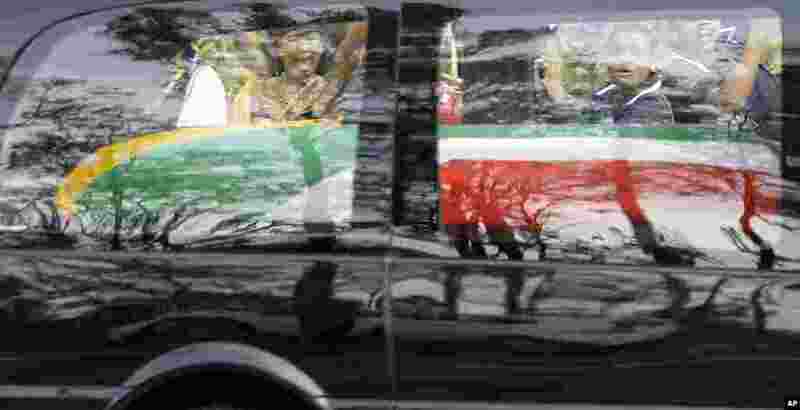 7 Women wave South African national flags before the cortege carrying the coffin of former South African President Nelson Mandela passes by in Pretoria, Dec. 11, 2013.